It is illegal in the state of Utah to operate your motorized vehicle with a blood alcohol concentration (BAC)of 0.08% or higher. It is also illegal to operate your motorized vehicle if you are unable to do so safely, regardless of your BAC. If you have been arrested for DUI in Utah you may both a criminal and civil penalties. Read the information which was presented to you by the arresting officer. Determine if you would like to challenge the administrative license suspension. You will have 10 days to request the hearing. If you decide to challenge the license suspension you can contact a DUI lawyer who can review the DUI arrest and appear in court with you. The hearing will be scheduled within 29 days of the DUI arrest. If you or a DUI lawyer chooses to represent you in court you must prove 1) the arresting officer did not have reasonable grounds to make the DUI stop or arrest; 2) you did not refuse the blood test. Keep in mind, the administrative license suspension is in addition to any Utah criminal DUI penalties which you might face if you are convicted of a drunk driving charge. 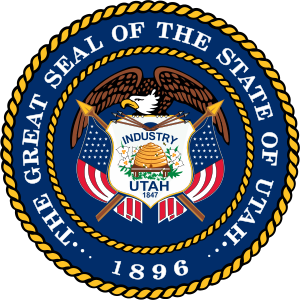 Additionally, if your license is suspended in Utah you will not be eligible for a hardship or work permit during the suspension and driving with a suspended license will result in a charge for a Class B Misdemeanor. You had actual physical control of the car (which may not have to mean that the car was in motion). You had a blood or breath alcohol concentration above the legal limit at the time you were operating the vehicle.